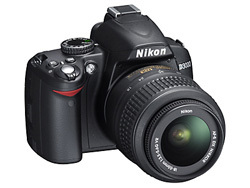 What a wonderful camera, I love Nikon they are so reliable. I am a subscriber. This is a great camera! Thanks! Great giveaway! Id like to be entered please! I am a subscriber. I LOVE Nikons! I’m a subscriber and would like to be entered in the contest! Techlicious always has such great giveaways! This one has to be the best yet. Thanks for the valuable content each week - and these fun opportunities! This would make a nice Christmas gift. Please enter me and Thank you Techlicious, and VERIZON for sponsoring this spectacular giveaway! current subscriber. just checked my speed! I would love to win this camera and give it to my partner for Christmas! Thank you. Please please let me win this awesome camera. Need a camera for a business I’m trying to start up and this would help so much. Thanks. I am a subscriber. Please enter my name. Thank you! I have been looking at this camera lately and it looks great from all of the reviews I have read. I am a subscriber. Please enter my name in this giveaway. Thank you! this subscriber would love to be entered! great giveaway and newsletter—already a subscriber! I would LOVE to own this camera! I’m a current subscriber and this would be the greatest x-mas gift to have!! I used the tool from your article - and it’s really simple and easy. My download speed is 441kbps and upload is 182. I really need a camera that is more modern! I hope I win this one!! I am a subscriber. I am entering the Verizon contest for a great camera. I am a subscriber. Please enter me. Thanks! I subscribe, I would like to be entered to win this. Thanks. I’m a current subscriber and would love to win this camera! I am a subscriber and would love to win this camera. I am a subscriber and want to be entered. I’d love to win this treat! Just in time for the holidays. I could snap pictures until my fingers got sore with that camera and then I would change hands…. I’d love to win this for my grandson. Iam a FIOS user and love it. I Shure Do Need A Win,It Has Been almost 12 Months,since My Last Major Win!!!!!! !I Have My Figers Crossed Thank You. This looks like a great camera! Looks like a great camera!